Jakarta Investment and One-Stop Integrated Service (PMPTSP) Dept. is trying to improve Index Ease of Doing Business (EoDB) in Indonesia since government's target is to achieve rank 40th.
" We are keep innovating our service in order to make Indonesia becomes one of Top 40 in EoDB"
In order to achieve it, PMPTSP Dept. holds PTSP Goes to Mall service in several shopping centers in Jakarta routinely. 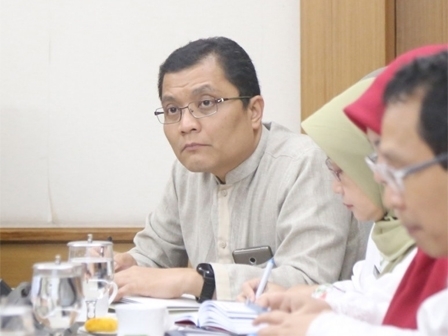 Jakarta PMPTSP Head, Edy Junaedi said the continuation of this program is done to improve EoDB's rank. This time, Jakarta becomes Indonesia's representative in EoDB survey. "We are keep innovating our service in order to make Indonesia becomes one of Top 40 in EoDB," he said, Sunday (1/10). He explained, his side is keep trying to accelerate the service and give easiness in permission and non permission administrations to public. One of the ways to realize it is to hold PTSP Goes to Mall continuously. "Through this event, our service becomes closer to people and we can encourage people to do permission and non permission administration by themselves without any help of third party," he expressed. According to him, 10 malls are participating in PTSP Goes to Mall within April to September periods. There are Lottemart Fatmawati, Cilandak Town Square, Poin Square, One Bel Park, Taman Palem Mall, Plaza Indonesia, and Lippo Mall Kemang. "Next, PTSP Goes to Mall will also be held in Kelapa Gading Mall, Pacific Place, and Cibubur Junction Mall," he closed.